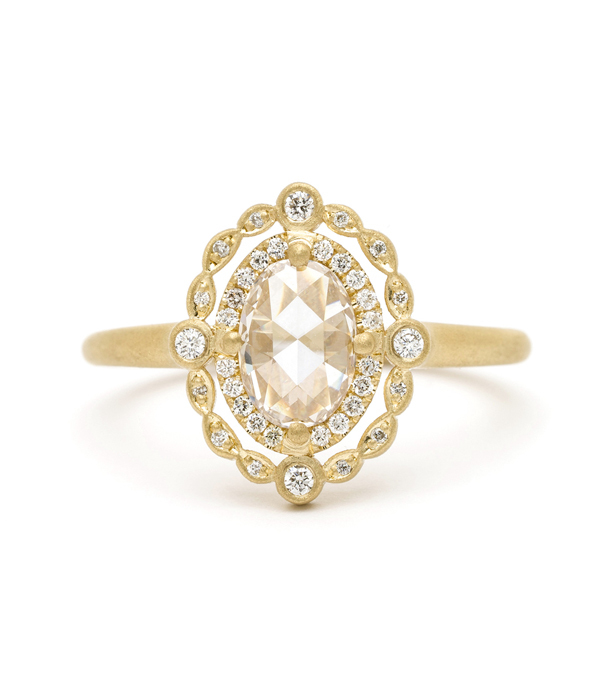 Inspired by the delicate details found in vintage designs, this stunning engagement ring juxtaposes touches of modern simplicity to create a piece that is nothing short of pure decadence! 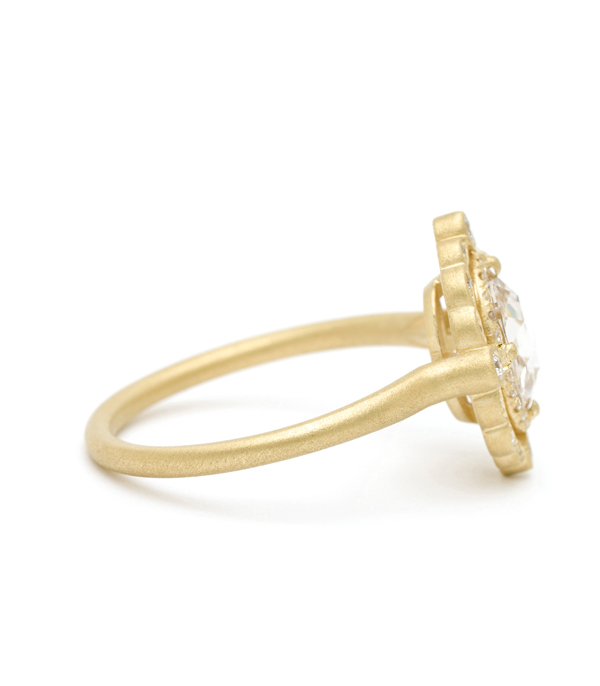 Set in rich 14K matte yellow gold, this ring features an oval Rose cut champagne diamond center 0.60ct, and 0.16 ctw of accent diamonds in its double halo. Hand- crafted by our artisan jewelers in Los Angeles.